CMDA approvd vacant Residential Land, ready for immediate construction, located in calm and upcoming residential surrounding, on west tambaram side of perungalathur village, is available for sale. Our Plot Located at Plot No.51 First Street (Valluvar Street), Gopal Nagar, Varadharajapuram, Near Attai Company Bus Stop or 400' Outer ring road. Tambaram west, Chennai south. Plot Details : * Total plot area - 2400 Sq.ft ( 60'*40' ) * CMDA Approved * 30 feet wide cement road * Clear Title * Good Connectivity. 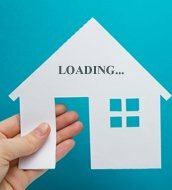 Features : * Ready to Build * EB facility * Gated Community * Pollution free environment * Feng Shui / Vaastu Compliant * Bank loan arranged Location advantages : • Tambaram railway station & Bus terminal 6 kms Via Mudichur road (SH 110) • New Perungalathur railway station & Bus Stand 5 kms • Vandalur railway station & Bus Stop 5 kms Via Chennai Outer Ring Road • Proposed urapakkam bus terminal 6 kms Via Chennai Outer Ring Road & GST Road • Oragadam sipcot 14 kms Via Walajabad Road (SH 48) • Sriperumbudur sipcot 15 kms (SH 110) • Annai arul hospital 2 kms • surrounded by international, cbse schools and Colleges • surrounded by thick residential area. Nearby Schools: • Shri Natesan Vidyasala Matriculation Higher Secondary School,Mudichur Rd, Mannivakkam • Narayana Group Of Schools, Mannivakkam • Ravindra Bharathi Global School, Mudichur Manimangalam Junction • Joshua Matriculation School, Old Perungalathur • BUDDING MINDS INTERNATIONAL SCHOOL,Manimangalam • Shree Niketan Patasala, Varadarajapuram( West Tambaram) • Seshavalli Vaishnava Public School,Sriram Nagar, Varadharajapuram • Sri. S. Badalchand Sugankavur Chordia Vivekananda Vidyalaya, Beemeshwar Street, Mudichur • Alwin International Public School,Padappai Main Road, Keezh Padappai • St Marys Matriculation School, Padapai • Velammal Vidhyashram (CBSE), Salamangalam Village, Padappai,Nariyambakkam. Nearby Colleges : • Dhanalakshmi College of Engineering, Dr. V.P.R Nagar,Manimangalam • PERI Institute of Technology,Mannivakkam • RRASE College of Engineering,Vanchuvancherry, Padapai • Dhaanish Ahmed College of Engineering, , Padappai • Sri Krishna Engineering College, Kavalkazhani • Sri SAIRAM Engineering College & Institute of Technology, Sai Leo Nagar, Sirukalathur,West Tambaram • Madras Christian College,East Tambaram • Sree Balaji Medical College And Hospital, Works Road, Shankar Nagar, Chromepet. Varadharajapuram is a village town of Chennai Metropolitan City in Tamil Nadu. Varadhrajapuram is a Residential Locality and lies between mudichur and Mannivakkam, 6 kilometers from Tambaram Located in Sripermpudur State Highway. Varadharajapuram panchayat village is belong to sripermbudur Taulk and comes under Kundrathur Panchayat union. The neighbourhood is served by Tambaram, Perungalathur & Vandalur Railway Stations of the Chennai Suburban Railway Network. Sriperumbudur road is considered as the fastest Growing Commercial, Industrial and Residential Stretch due to its own uniqueness. West tambaram is a locality in chennai tambaram tamil nadu, India, Located in the chennai metropolitan city. It is one of the main commercial and residential areas of the metropolitan region. Its main features include shopping centres such as annai retail, More, Domino's, Several colleges, Schools, Banks and public libraries.Tambaram mudichur road the main road through west tambaram connects the chennai neighbourhood of lakshmi nagar, Krishna nagar, Bharathi nagar, Old perungalathur, Madhana puram and mudichur, Ending at the vandalur - Oragadam road. West tambaram has been growing rapidly since the development of the vandaloor-Nemilichery outer ring road. Supermarkets in west tambaram include heritage, Reliance fresh and nilgiris are in west tambaram. Banks include sbi, Canara bank, Axis bank, Icici bank, Indian overseas bank, And indian bank. Schools include valluvar gurukulam, Jain vidhyalaya matriculation and higher secondary school. Kishkintha theme park is located at the intersection of darga road and the outer ring road. We have an land of 1764 sqft (36x49) in Krishna Nagar (police booth), Tambaram for sale. Patta and cmda approved land. Clear title. Above rate mentioned as per sqft rate. Interested and genuinely people ping me or call me. Note: cmda approval obtained two weeks before only. Yeses Green Garden is a residential land available for sale that belongs to the Yeses Homes group located in Tambaram West. Yeses Homes offers this property at an affordable price point and with all necessary amenities located nearby. There are so many popular industries, premier institutions, Railway Stations, Financial facilities available surrounding the Yeses Homes Residential Land so that you can buy the property with complete satisfaction. 40 ft.frontage, 30 ft.road, cmda approved/patta, value for investment, near to 400 ft.road and kishkintha. Dtcp approved. Two adjoined plots of no: 18 & 19 with north facing and faces 23 ft road which then connects to a 40 ft road. 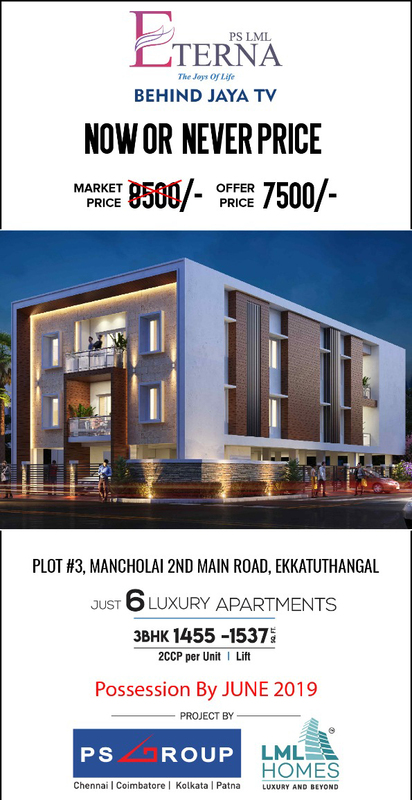 The plot is within 1 km of the manimangalam road and tmg college. Dear buyer, This property is approved by DTCP and situated in Manimangalam near to state highway. Surrounded by houses and good ground water. Plot is situated in 30 feet road (60 *40). Main speciality of this land is that this is not just plot it almost like farm land with mango tree, Coconut tree, Bannana leaf trees. This is fully fenced land, Well maintained by dedicated Gardener. EB connection ready and water connection available. Ready to construct house. Clear title. We expect genuine buyer and its well suitable for NRI's investments since plot rates are growing.